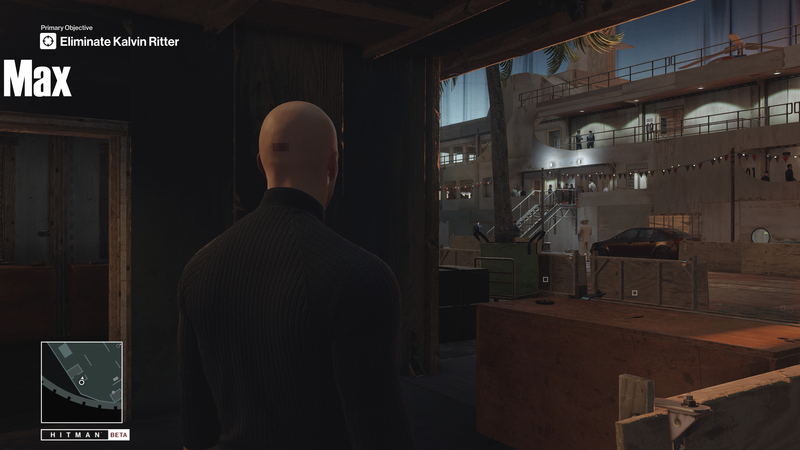 In the screenshots below the level of detail changes are much more noticeable, though the details that draw in at the higher settings can only really be seen when looking through the windows into the boat, where changes to the lighting and models are noticeable. The full release of this game is said to have some of the largest levels that a Hitman Game has ever had, so hopefully the differences in draw distance will be much more noticeable in game. This set of screenshot are a great place to see the differences between the games AA options and Level of detail settings, with the Lowest (No AA), low (FXAA) and medium (SMAA) screenshots showing the difference between the different types of AA in the game. 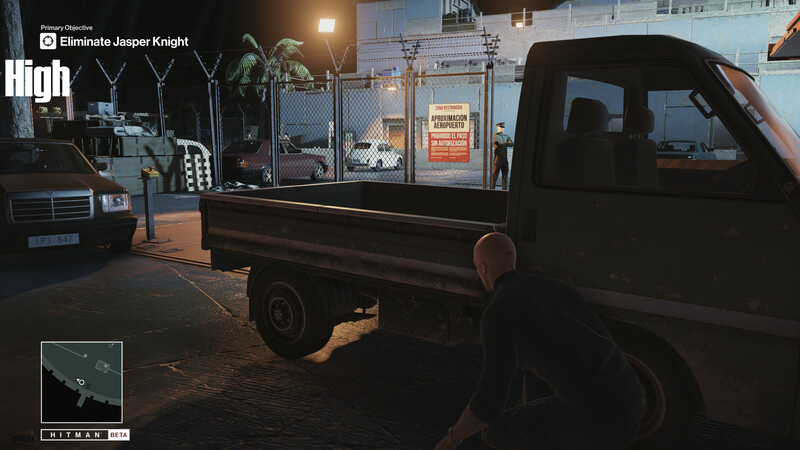 Here when looking at the details in the medium and far distances we can see that the higher settings have proper lighting inside the building and more details in the cars and models in the distance. In between the medium and high settings you can see the white car in the distance get a texture for it's number plate and the ability to even see the number on the door through the window.